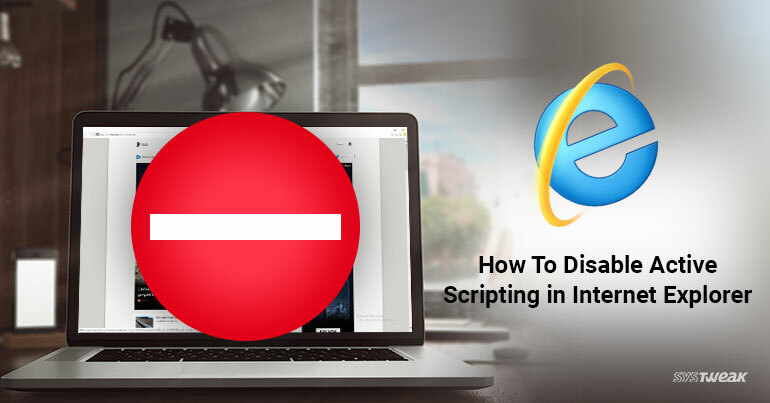 Active Scripting or ActiveX Scripting is responsible for supporting scripts on web browsers. Scripts are free to run at any time when Active Scripting is enabled. However, there is an option to disable them completely or make Internet Explorer ask you every time they try to run. Must Read: If You Still Prefer Internet Explorer, This Is A Must Read! Press and hold the Windows key and tap the letter R (Windows + R keyboard combination) to open the Run command box. Select Security tab on the top of Internet Properties window. Make your selection as under Select a zone to view or change security settings. Click on button at the bottom side of the window, under Security level for this zone. Once you see Security Settings – Internet Zone window, scroll down until you find Scripting section. Select the radio button labeled under the Active Scripting header. If you wish Internet Explorer to ask for your permission each time a script attempts to run rather than disabling them all in one swoop you can select instead. Click on OK at the bottom of the window. Confirm your action by clicking on Yes button of Warning message. Click OK on the Internet Options window to exit and restart the browser all over. Now that you’ve disabled or set it to ask for permissions before running an ActiveX script, you can get back to development or the other reason you set it so. Internet Explorer cannot allow any script to run without your permission or it will not be allowed at all, based upon your selection.